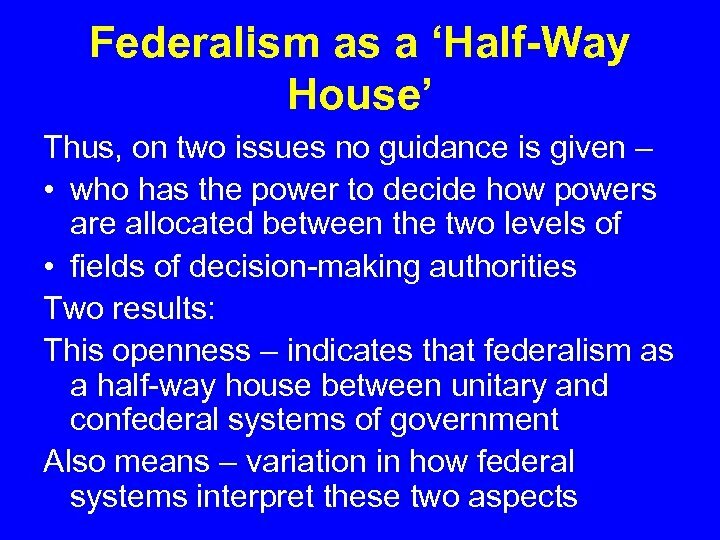 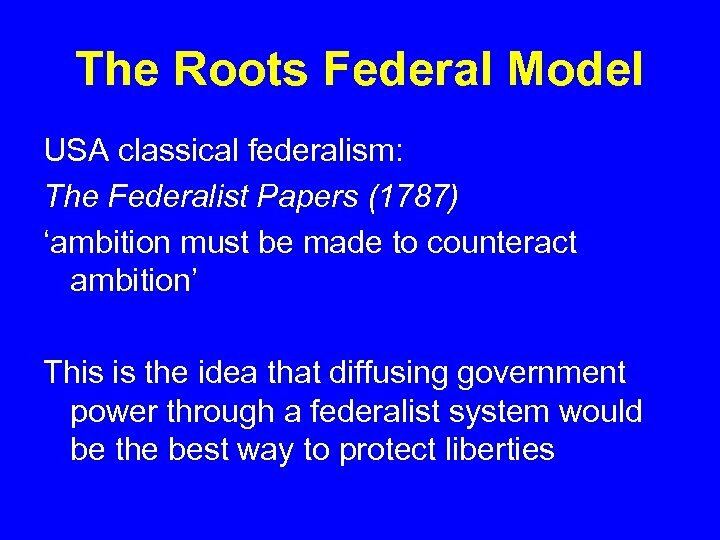 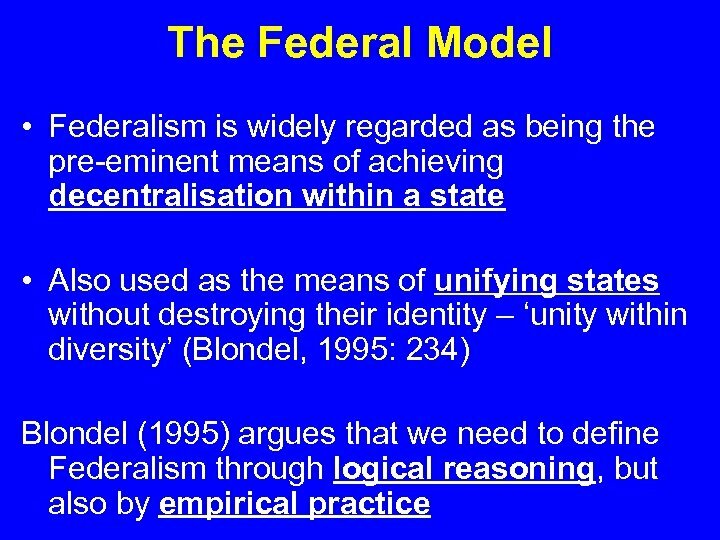 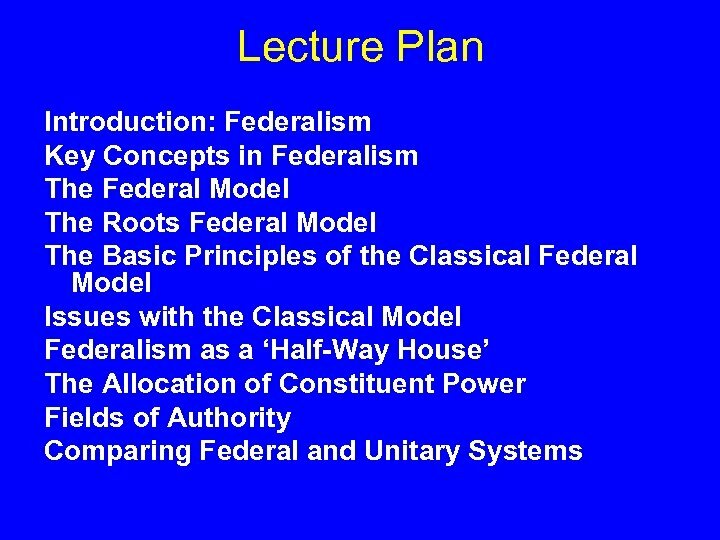 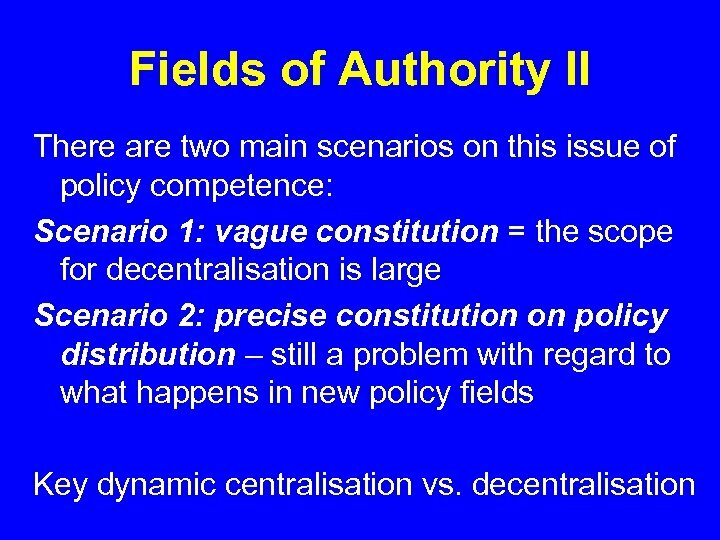 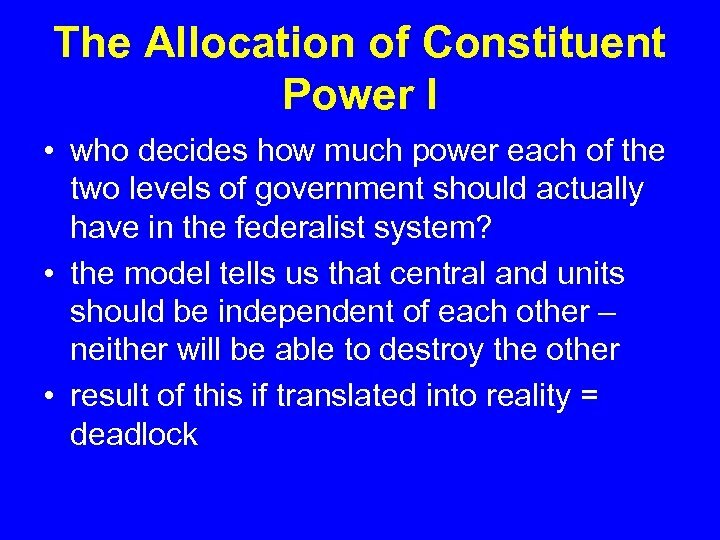 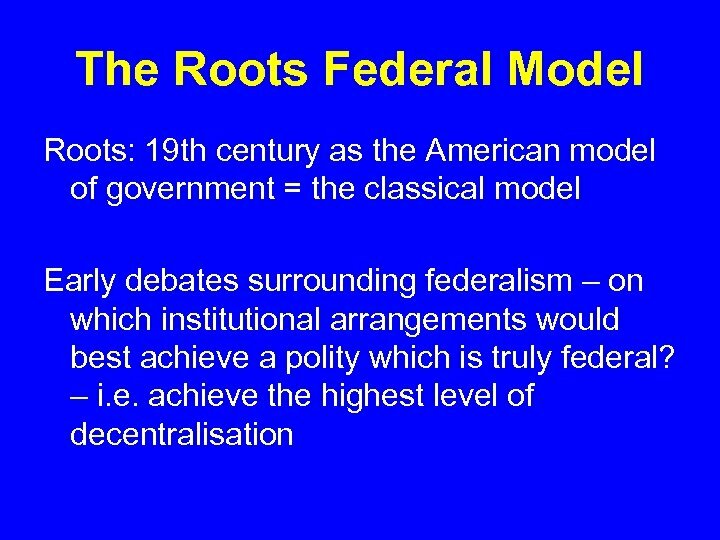 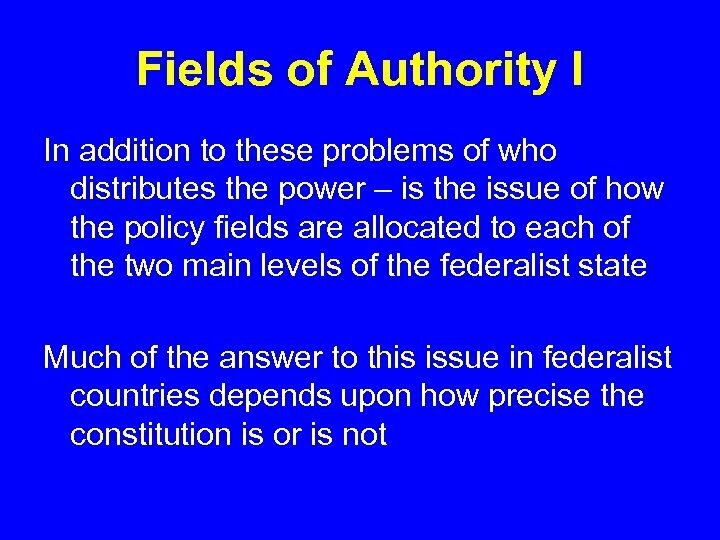 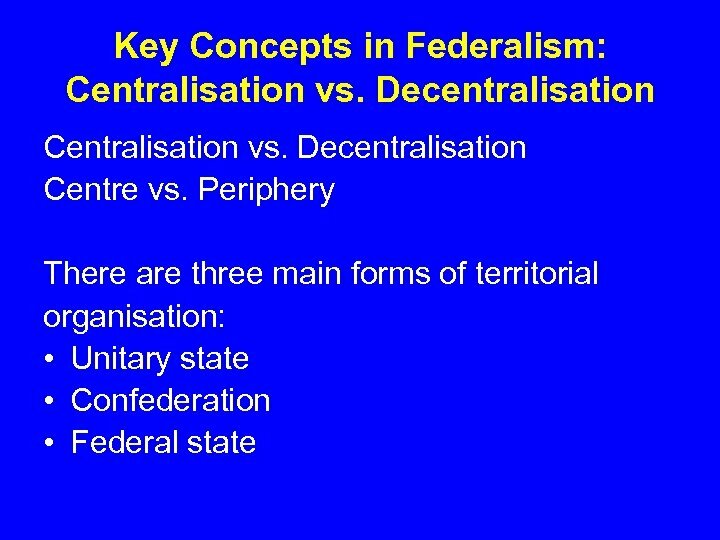 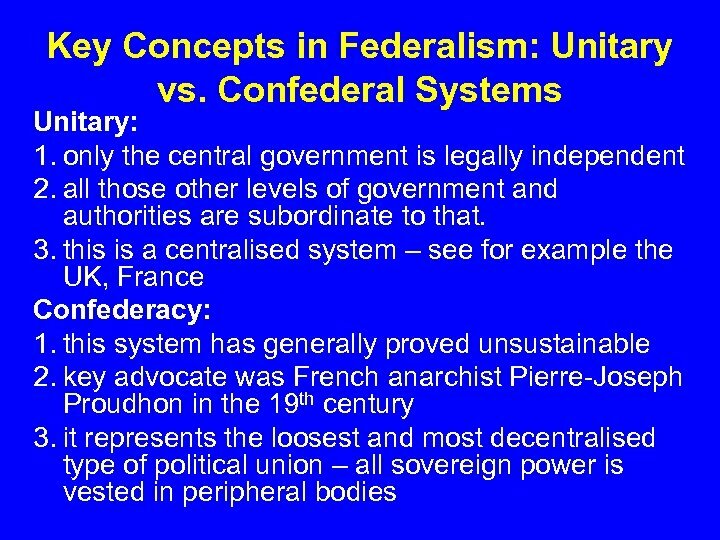 Comparing Federal and Unitary Systems I Unitary = centralised – more control at one level Decentralisation is costly – extra tiers of government must be paid for, can tend toward being overly bureaucratic etc. 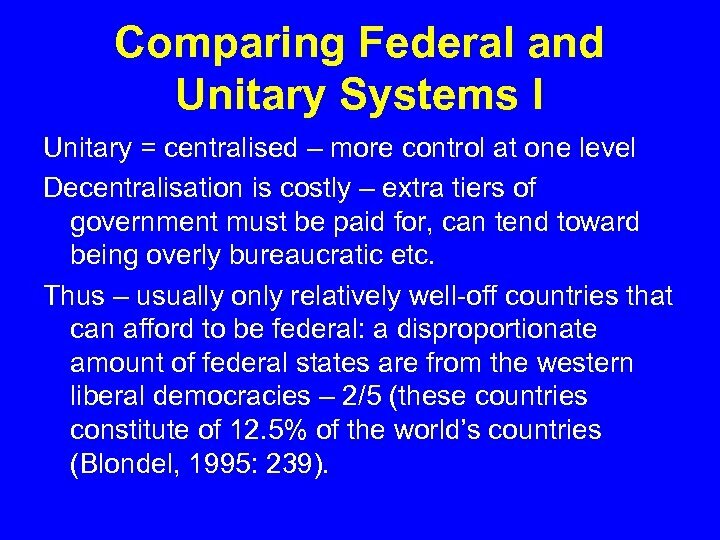 Thus – usually only relatively well-off countries that can afford to be federal: a disproportionate amount of federal states are from the western liberal democracies – 2/5 (these countries constitute of 12. 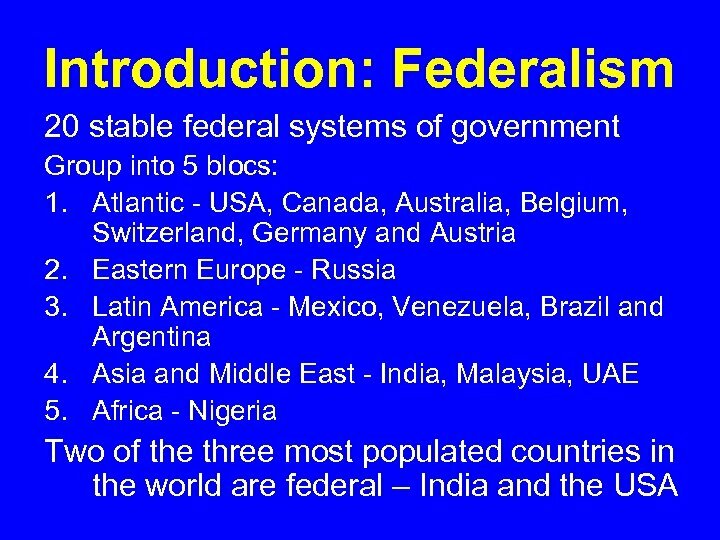 5% of the world’s countries (Blondel, 1995: 239). 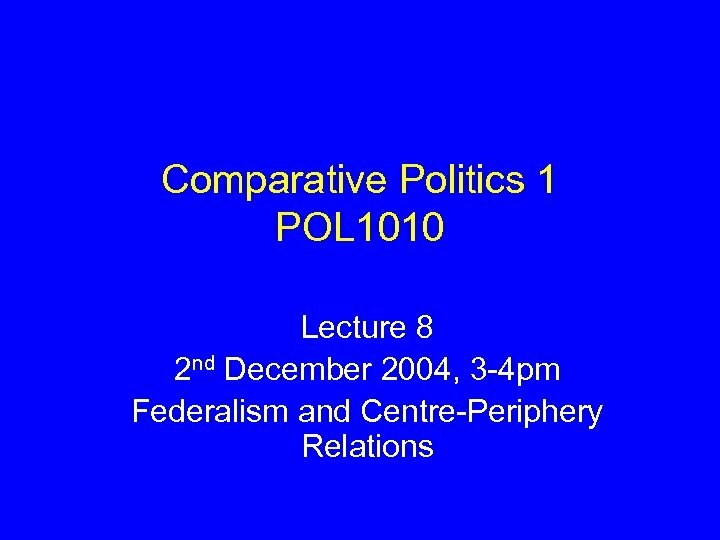 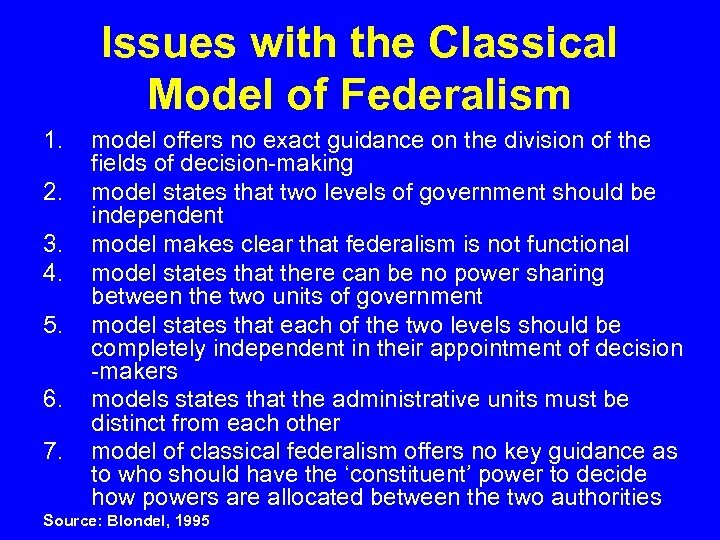 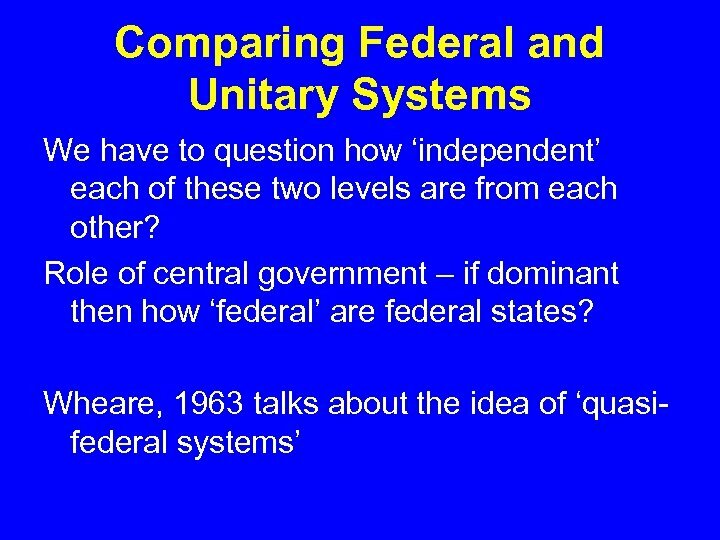 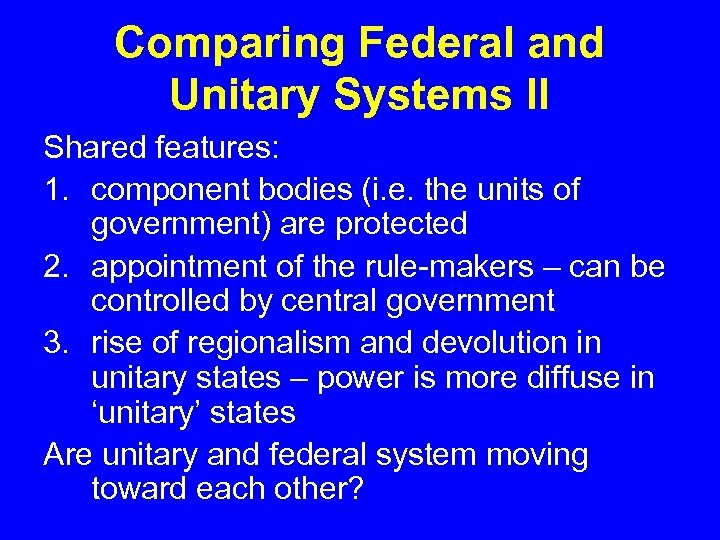 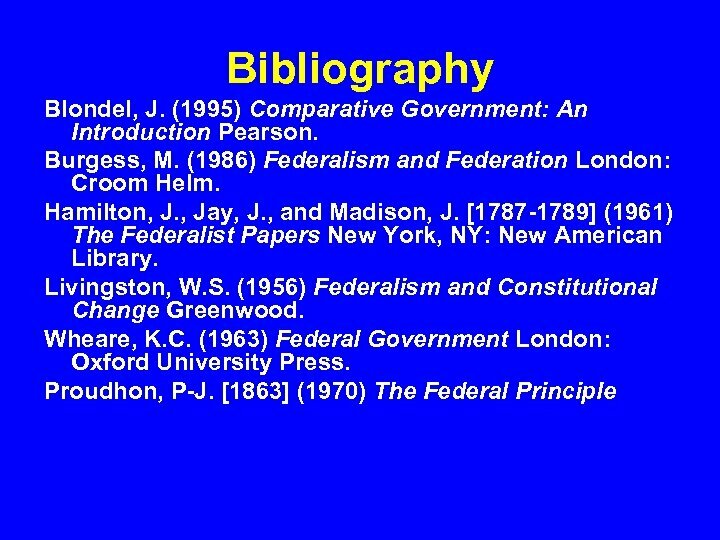 Comparing Federal and Unitary Systems II Shared features: 1. component bodies (i. e. the units of government) are protected 2. appointment of the rule-makers – can be controlled by central government 3. rise of regionalism and devolution in unitary states – power is more diffuse in ‘unitary’ states Are unitary and federal system moving toward each other? 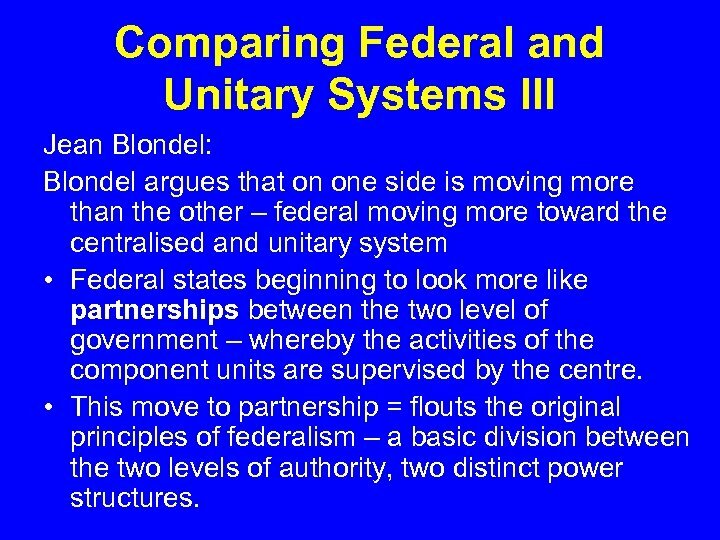 Comparing Federal and Unitary Systems III Jean Blondel: Blondel argues that on one side is moving more than the other – federal moving more toward the centralised and unitary system • Federal states beginning to look more like partnerships between the two level of government – whereby the activities of the component units are supervised by the centre. 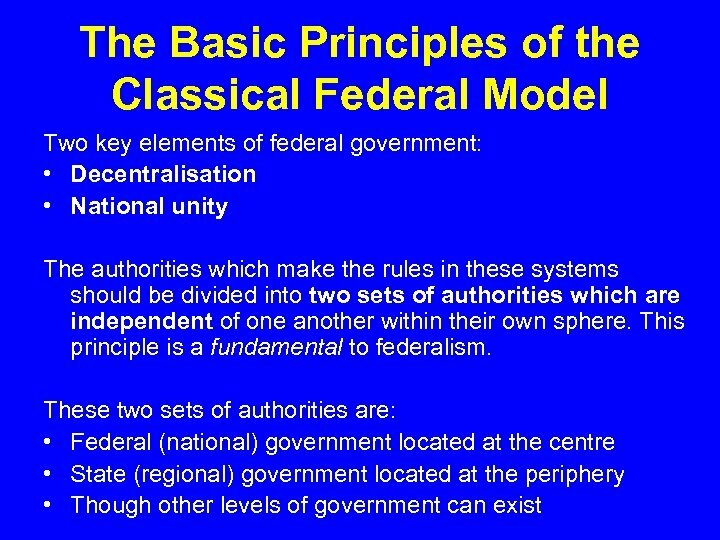 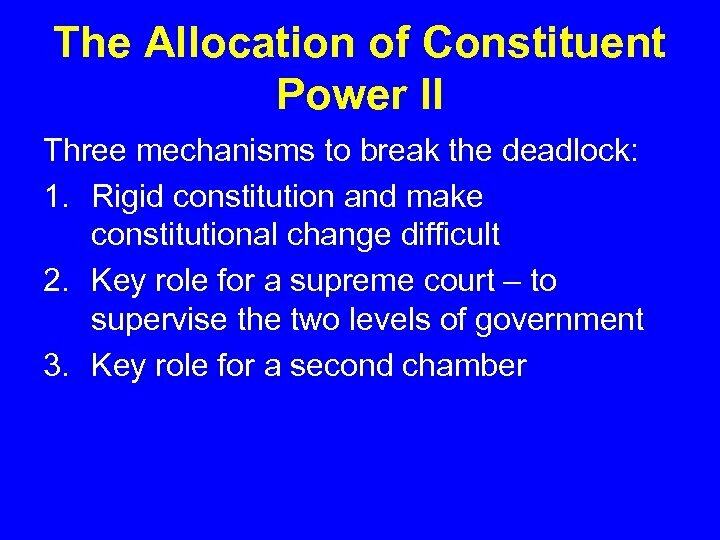 • This move to partnership = flouts the original principles of federalism – a basic division between the two levels of authority, two distinct power structures.